Java is among the most preferred programming languages we have today. Java Application system is operational right from enterprise applications to smart phone apps. It is due to this fact that there is massive demand for Java application development across the world. Being the most dynamic technology, java as an application enables the user to flexibly use the application without paying anything on the licensing. A java developer can create progressive web applications to offer technological solutions to the end-users. It is an ideal technology for those who look for compatibility with light weighted apps. Applications under java are in use in almost all mobile phones, computers, personal digital assistance, and printers etc. making it extremely popular in India and globally. One of the biggest USP of java is that it is quite secure in nature. An untrusted code can easily be worked upon under protected java atmosphere without affecting the existing system. Thus, there is no chance of getting infected by virus. These features make java unique. No other conventional platform can assure you of such security unlike java does. Java application is short and user-friendly. Therefore it is widely accepted across the globe. Applications under java platform are very handy enabling the user to easily transfer it from one electronic device to another. Since all the applications under java are created on same network, it offers a methodical way to develop apps. Almost all major mobile brands like Samsung, Nokia, Motorola, and LG has operating system under java platform making it a popular platform among masses. As a customer you do not need to buy licenses every time. Java comes with open source frame enabling the users with the benefits of plug-ins and much more. Java as a software supports multiple languages. People who use language other than English can also very well associate themselves with the data. So, this device is popular among masses. 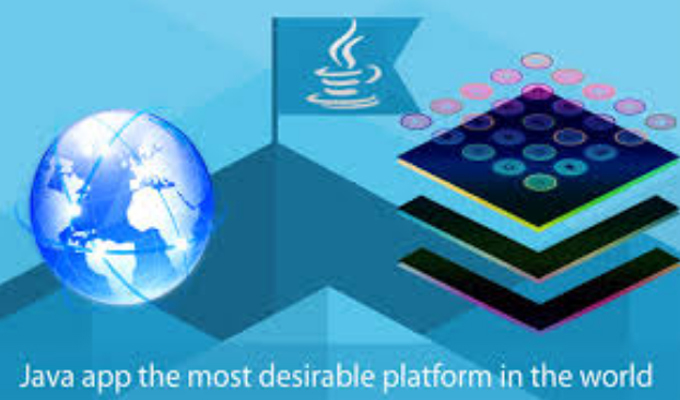 Java works under platform independence wherein the application developed under its umbrella can work in any software or platform. Stack allocation system is one of the best features of java where the data can be stored and restored as a when needed. In other programming languages, the developer has to do data allocation and collect garbage. Whereas in java, automated garbage assortment and memory allocation is possible. Java offers unparalleled networking capability wherein multiple computers can be used under a common network. Networking under java is even easier than scripting a networking program. The codes once developed under java platform can be reused in other application at any stage. Java application comes with a lot of benefits. As an application, it supports web as well as other allied and non-allied operational system in a secured manner. Not only that, java application development is simpler in approach as compared to other software application. Thus, great performance, high end programming efficiency, international acceptability, and high demand has made this platform suitable for every consumer.